The issue around what can and cannot be said by journalists is drawing notice among other public broadcasters. I was part of an interview program about whether journalists should be allowed to express opinions last weekend on BBC Radio's Newshour. Seth Lipsky from the Wall Street Journal was also part of the discussion. Lipsky has written that NPR and indeed all public broadcasting deserve to be defunded since, in his opinion, government funds deform the journalistic landscape. I think that's highly questionable, but we did agree that news organizations have the right to ask their journalists to refrain from personal comments. Mr. Lipsky as an editorialist and opinion leader, has a somewhat broader view of what's allowable than I do. The program came just a few days after the BBC World Service broadcast a phone-in show about prospective cuts to the BBC. The program, called "World - Have Your Say" took calls from around the world with listeners begging the BBC not to reduce its service. The in-studio guest from BBC management assured anxious listeners that the BBC is so admired because it takes no position on matters of public controversy. It tries, he explained, to explore the issues rather than take sides. That may be a highly subjective viewpoint, but at least, it's an official one. And the CBC's Washington correspondent Neil MacDonald has offered his perspective here. He states that Juan Williams deserved to be fired when he placed NPR in an embarrassing situation by expressing an anti-Muslim bias. (Juan backtracked somewhat, but the damage was done and the fallout from his dismissal is still causing ructions in and around the public radio community in this volatile pre-election period). By way of explanation, Neil MacDonald - it must be said - is no management toady and hardly a stranger to controversy of a particular kind. His reporting from the Middle East and from Ottawa has been robust, to say the least. MacDonald usually bases his conclusions on the evidence, even if some viewers may find his perspectives to be highly flammable or at the very least, contrarian. So his analysis on Juan Williams and NPR is a bit counter-intuitive. His take (and mine) is that if you take the King's shilling, some limitations invariably come with that, including a limit on one's own freedom to speak your mind. 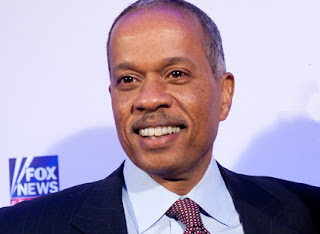 What bothers me about the firing of Juan Williams is that it didn't come soon enough. And I don't say that as some liberal-loving Fox-hating lefty. I say it because Williams has been, for decades now, a talking head, not a journalist. NPR does not need to shell out a single dime to talking heads, who will gladly provide their comments (blather?) gratis, because it gets them exposure, which they then trade in on publishing deals (books, articles, blogs with advertising), appearances on less-than-honorable networks (Fox) and live events and speeches. Williams would have gladly appeared on NPR, yakking about whatever the topic du jour was, for free, because NPR legitimizes him, even if his serious work is many years behind him. Following this logic, Mara Liason needs to go. Cokie Roberts, if she's still being paid by NPR, must also be cut off, as she hasn't offered useful insight in years (and was paid handsomely to talk via ISDN line from her home each Monday morning for as long as I can remember). NPR and any other serious journalistic endeavor may choose to continue to hire commentators and editorialists and other yappers. But they shouldn't, because comment is free and these folks would be plenty happy to give comments to NPR in exchange for legitimization. Otherwise, NPR is just paying people who are using them anyway. Might as well make it a formal back-scratching deal without an exchange of cash. So do you think that Nina Totenberg should be fired? ("if you take the King's shilling, some limitations invariably come with that, including a limit on one's own freedom to speak your mind") You know that Totenberg quite regularly speaks her mind, including of course her statement that "if there is retributive justice" Jesse Helms "will get AIDS or his grandchildren will." Or do you think that Dan Schorr should have been fired for calling the 2000 Supreme Court decision a "junta"? Does those individuals not count since they have political correctness on their side? Having a point of view, most particularly a PUBLICLY ANNOUNCED POLITICAL point of view, is or at least should be, difficult for a news person. I've belied for the some 50 years I've been in the news business in four countries that you keep your own political and religious beliefs to yourself. Now there's an added one: whether one is gay or not. Talk about your beliefs with family and friends, but not in public and, I would urge, not in the newsroom. And most certainly not in a public forum. It perhaps seems, in this age of instant mass media, to say that a news person covers an event... an event that is expected to produce news. You, the reporter/observor, writer are NOT the news and, if you are good at it, you never become the story - or shouldn't. As Jeffery says, if you take the Kings Shilling then you have a certain allegiance to the person or company from whom you earn that Shilling. WHite feathers are a thing of the past for not believing in a cause; maybe they should make a comeback for those who do and say so from every electronic rooftop they can find.